SSC MTS (Multi Tasking Staff) Non Technical Exam 2016-17 Cancellation Notice released on www.ssc.nic.in. SSC (Staff Selection Commission) has officially declared the notification about the cancellation of the SSC MTS Exam 2016-17. The exam were held in the month of April and May 2017 and to be conducted in June 2017 also. But SSC has finally cancelled all the exams for all shifts due to some confirmed sources of paper leak. There were some rumors going on the internet about the paper leak, exam cancel etc. but now we can say SSC MTS Exam 2017 has been cancelled. Final official notification has been released by the commission on its official website www.ssc.nic.in, you can download official notice about this recruitment exam cancellation from the link given below. There are total 8300 vacancies for which this exam is to be organised to fill various multi tasking staff posts under various ministries, departments etc. If you are one of the candidates who have appeared in this examination or have to appear in the coming dates, then you must be sure that the exam has been finally cancelled. There are around 50 lakh students have applied for this recruitment, but due to paper leak news from confirmed sources, Staff selection commission has taken this decision. SSC will declare the new exam time table / schedule for SSC MTS Re-exam 2016-17 which will be computer based exam. 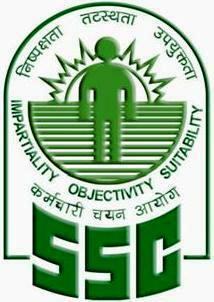 If you are uncomfortable with computer based exam, then SSC will organise the demo test before the final exam so that the students who are not familier with computer based test, can learn the way. SSC MTS Re-exam is likely to be conducted in the month of Sept-Oct 2017 and SSC MTS Re-Exam Dates will be declared seperately on the official website of commission www.ssc.nic.in. We will also share any news coming from the commission, so you should check our website reguarly for any new updates about this exam. You can also check the official notice regarding the MTS Exam 2016, download this notice from www.ssc.nic.in. SSC MTS Re-Exam Computer Based Mode Not OMR Sheet Based! The commission has taken a decision to cancel the Multi Tasking Staff (Non-Technical) Exam 2016 in the OMR Based mode for all shifts for all 5 days for all SSC Regions across the country. SSC MTS Exam is one of the biggest exam which now to be conducted online so it will be interesting to see how SSC will conduct this big exam online successfully without any hurdle. OMR based exams are very hard to manage for all phases either it is conduction of exam or to declare the final results. So Guys you are free to prepare again for the SSC MTS Re-Exam 2016-17 with new passion because now you have time of 3-4 months for preparation. We will also share the SSC MTS Re-Exam Date on our website which is likely to held in month of September and October 2017 on various dates. Commission will release the exact dates of online test for SSC MTS 2017 Examination very soon. We will post the official notice here once it get released.